Wow, the first few days back at work after a holiday are rough. Now I am officially in the mindset where I want to be doing nothing but relaxing and celebrating the holidays not stuck behind a desk for hours and hours. Not to mention that I am not a fan of 5 am wake ups. This upcoming Saturday Jessica and I are traveling out of town to attend our first Christmas party of the season. Over the last month I have been collecting a sizable amount of holiday party appropriate attire, including a skirt similar to this gold pleated midi skirt. It looks so pretty on and the gold is so festive. I have been swooning over this clutch for months. It also comes in several other colors. My social calendar is booked until mid-January. It is going to be busy but this next month is going to be fun. Plus, only 3 more weeks of work and then I have a full 2 weeks off to relax and enjoy the holidays. Will you be attending any Christmas parties this year? I have a few parties lined up but they're all really informal - which is sad because all the great things in this post really make me want to dress up! 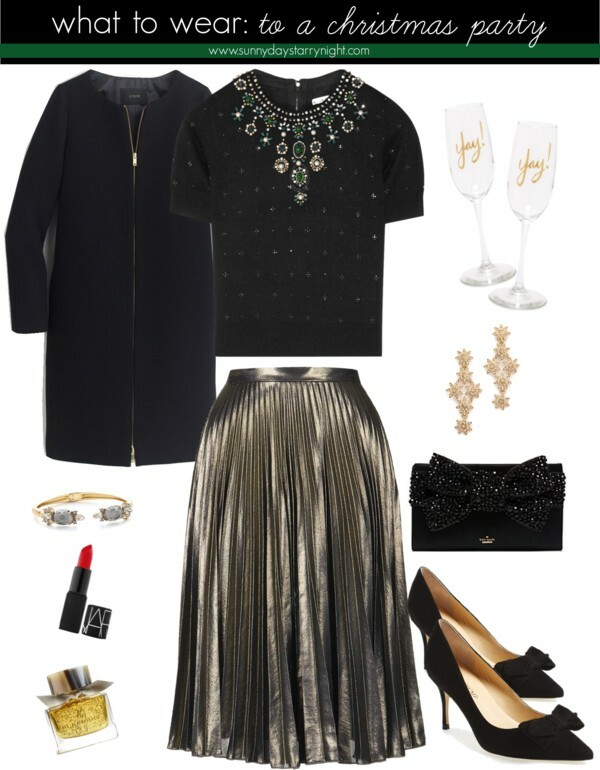 This is a stunning outfit - I love the metallic skirt and all the embellishments on the top! قد تبدو الحشرات بكثرة في مرحلة الصيف فتبدأ سفرية البحث عن مؤسسة بخ مبيدات كي تخلصنا من تلك الحشرات المؤذية التي قد تكون السبب في الذعر للإنسان وفي الأحيان الأخرى تكون السبب في العدوى بالأمراض وفي بعض الأوقات قد تكون السبب في وفاه بعض الأفراد.